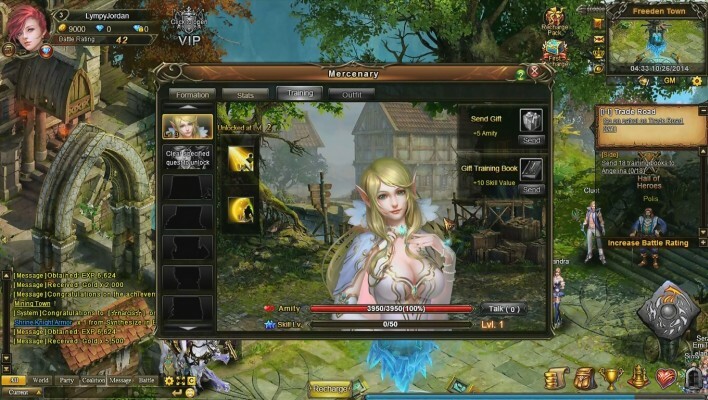 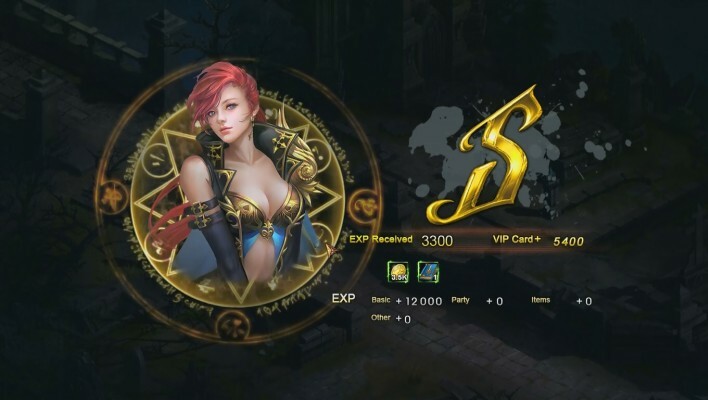 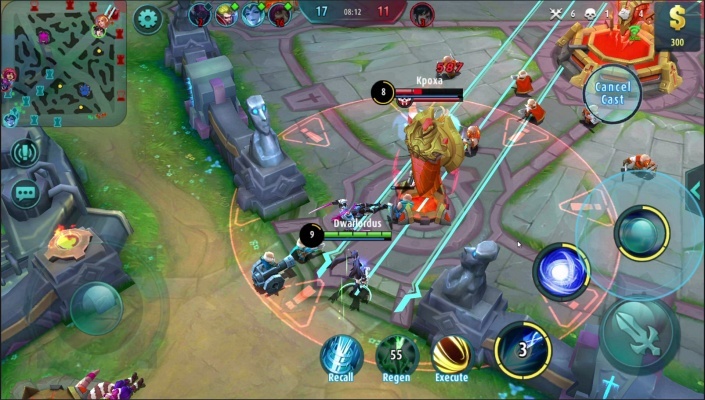 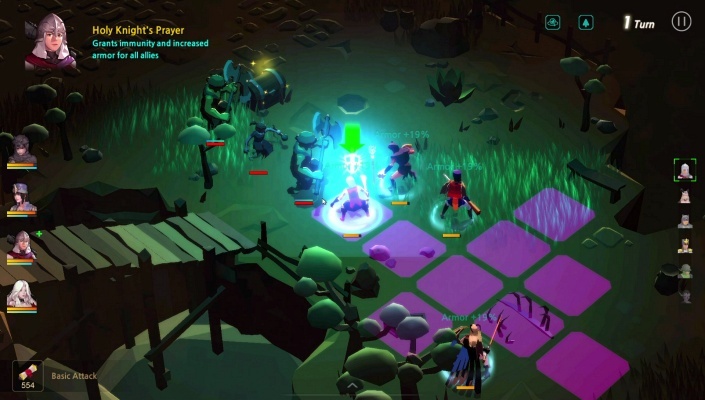 Sword Saga puts customisation at the heart of its battle system, giving players unlimited skill combinations and an array of troop formations to mix, match and develop into ever smarter tactics. 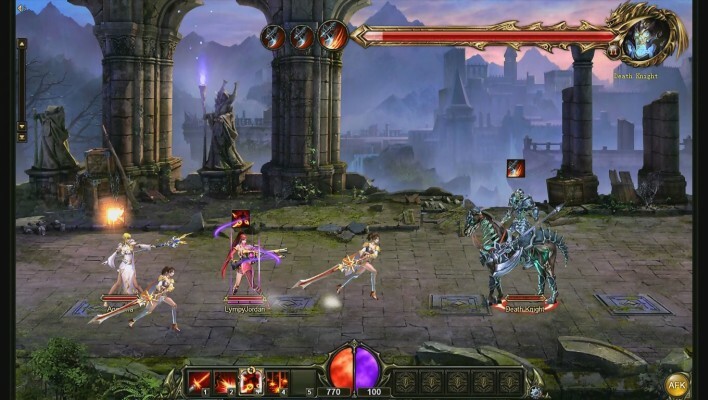 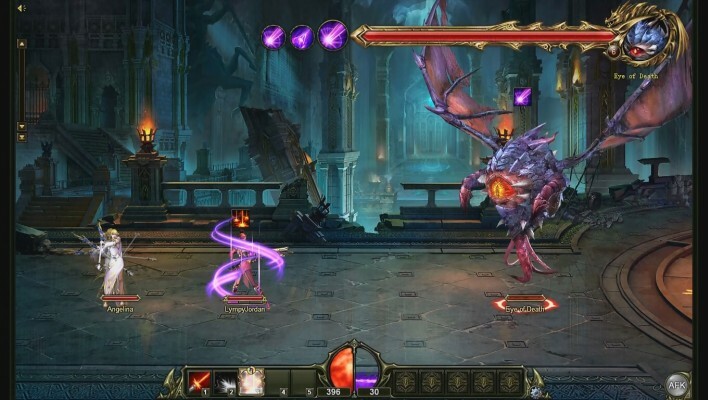 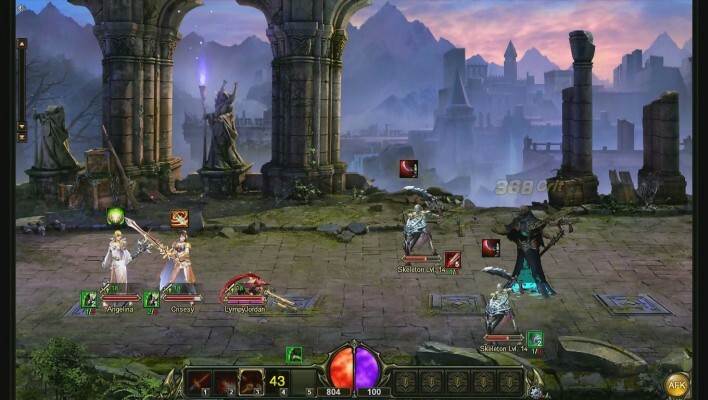 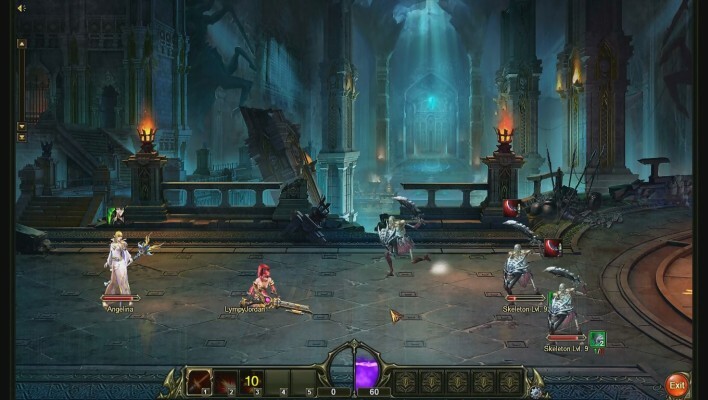 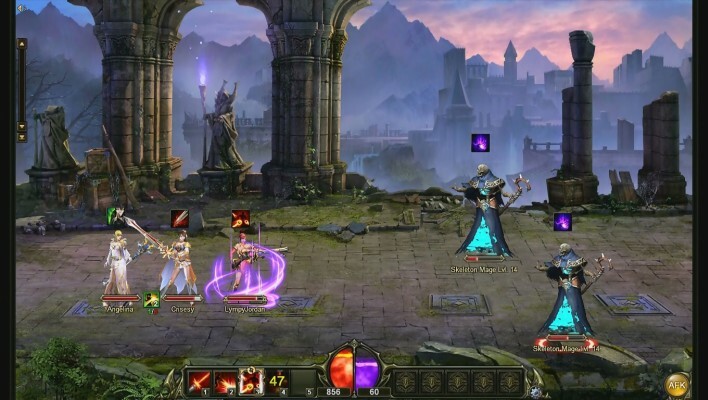 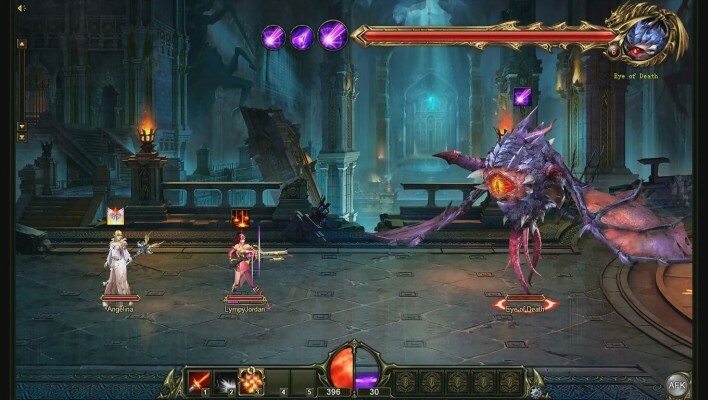 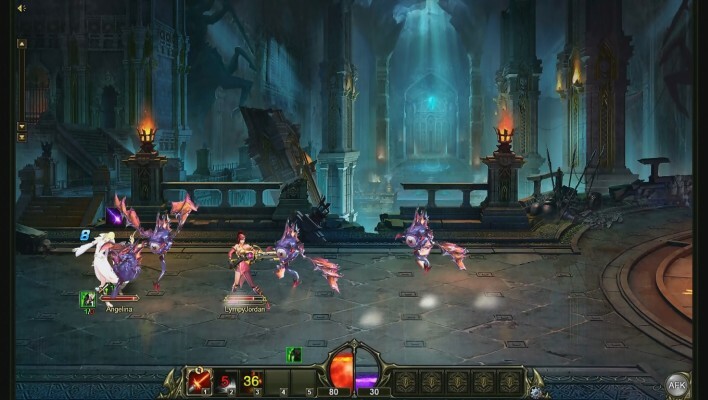 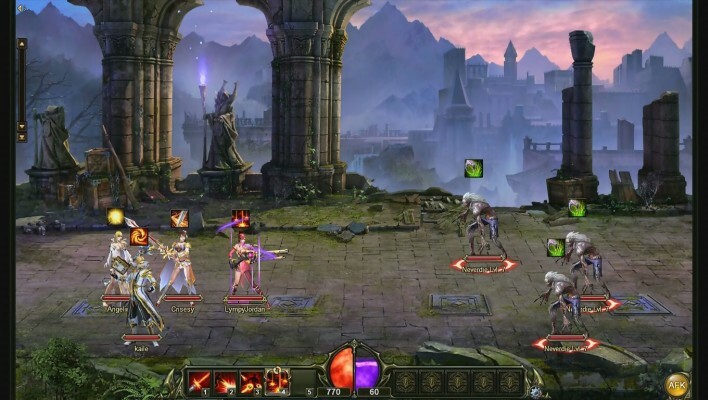 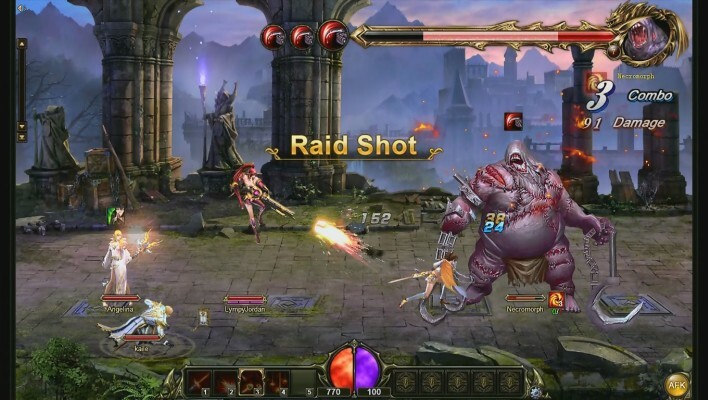 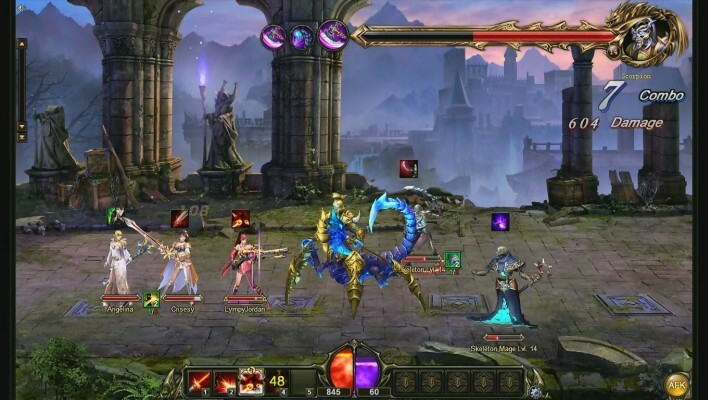 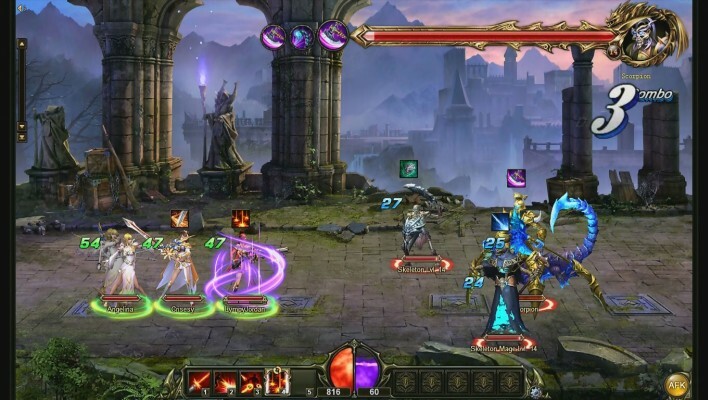 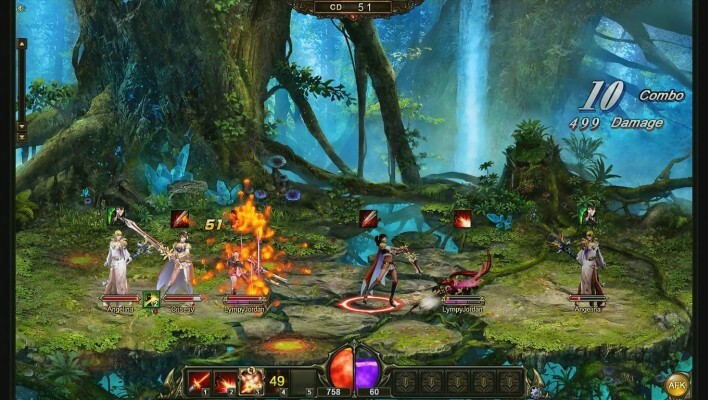 As heroes of a magical realm, players must join forces with their mercenary friends to prevent a new demonic uprising from destroying their world. 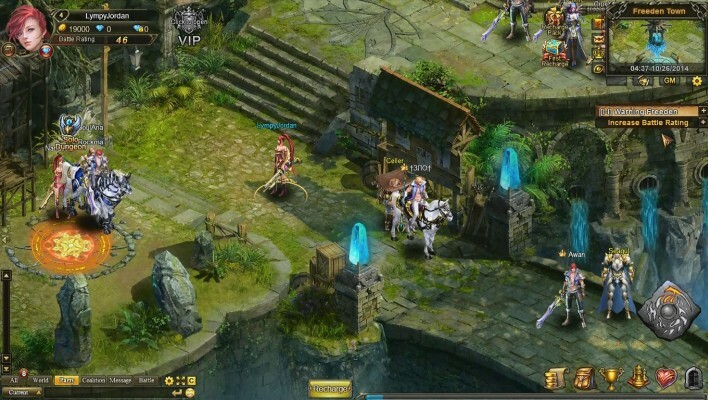 Heroes come in many shapes and sizes in the world of Sword Saga, each with their own customisable skill sets and distinct personalities. 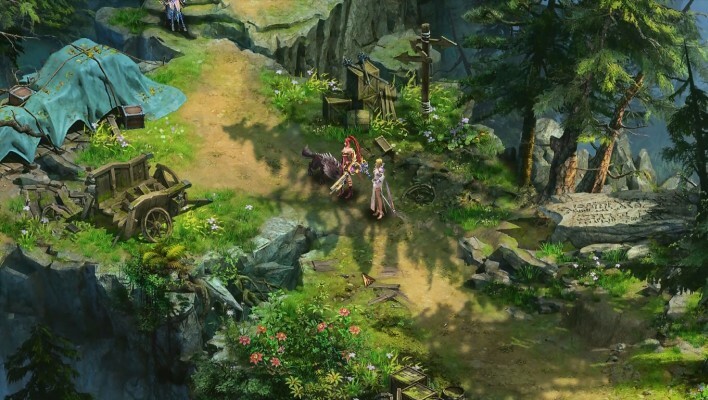 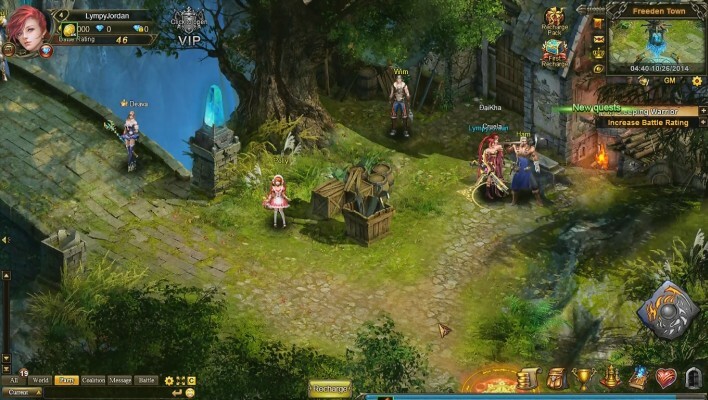 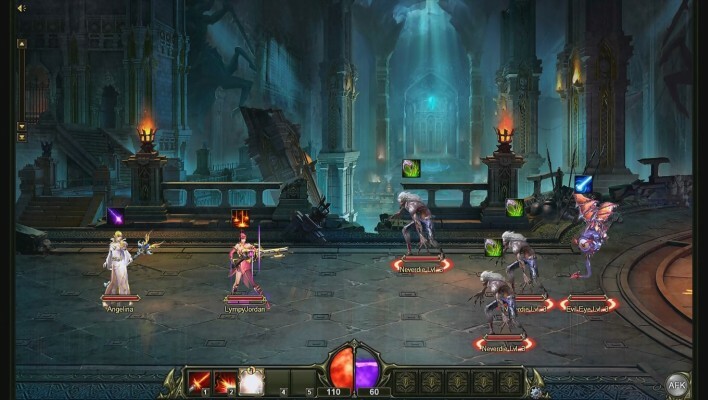 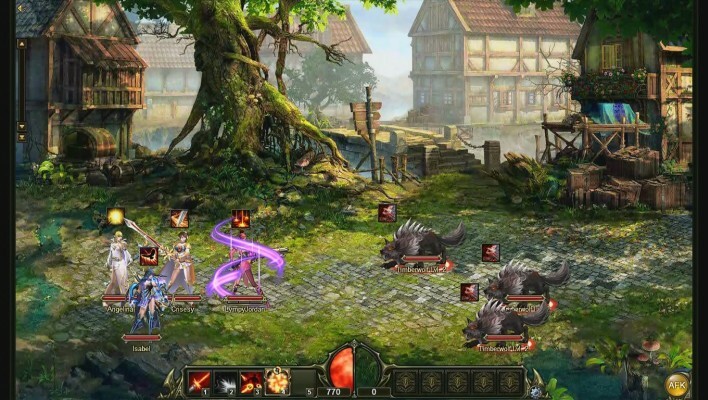 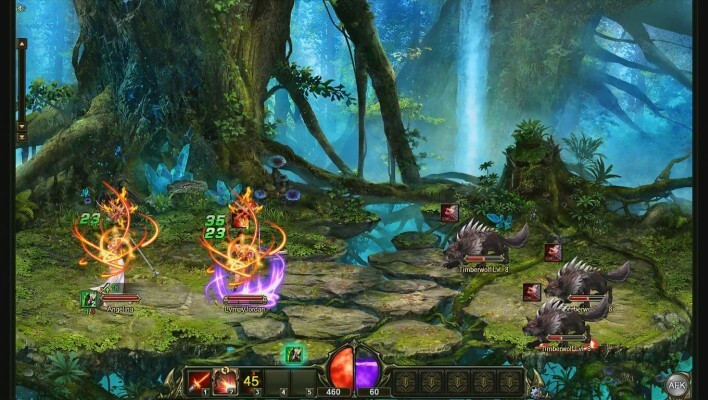 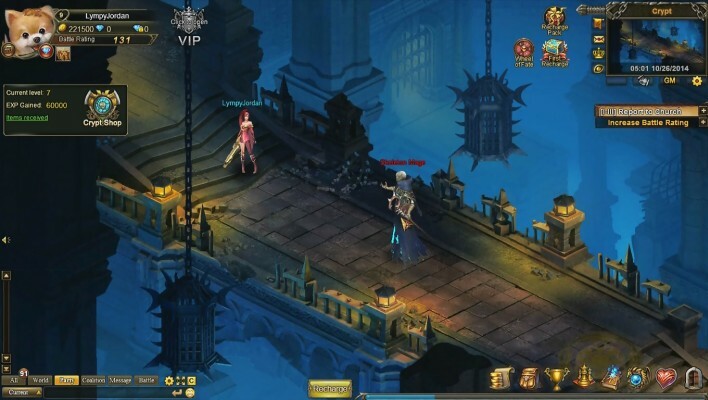 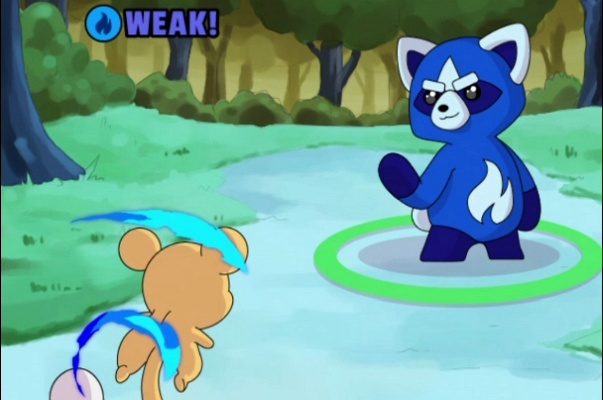 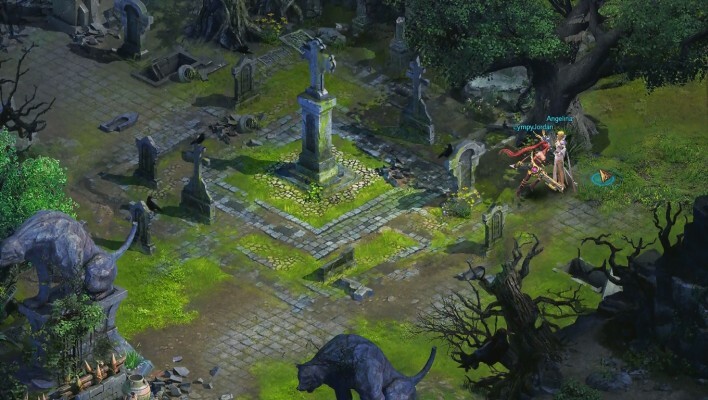 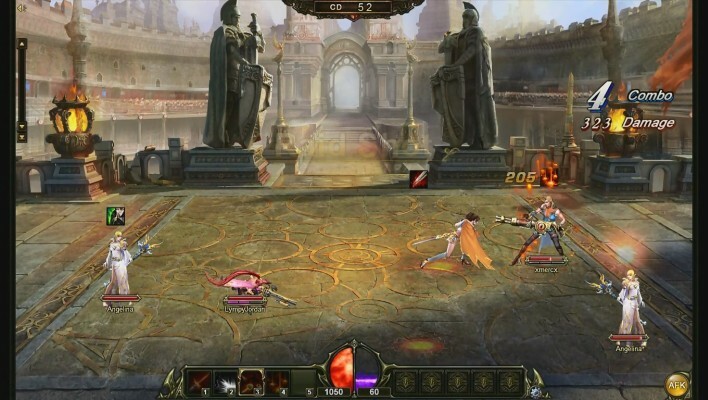 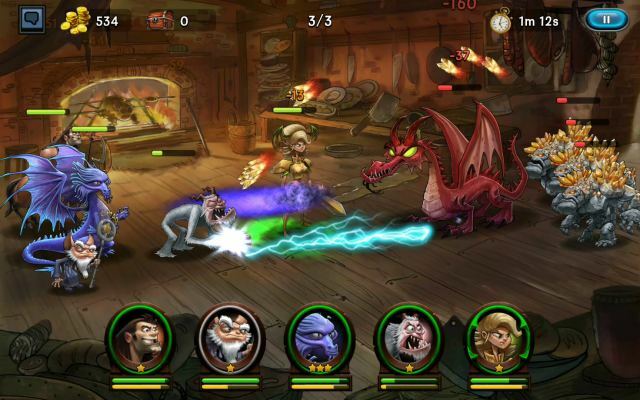 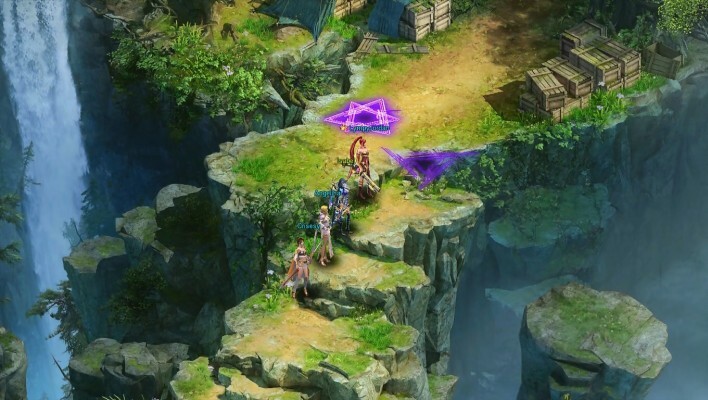 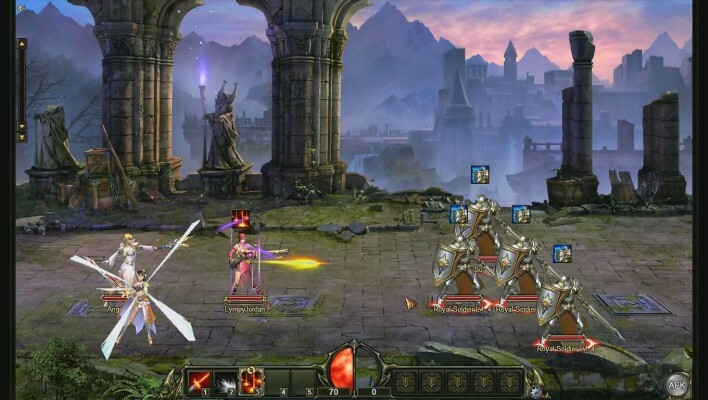 Backed by their trusty mercenary friends, who also boast unique abilities, personalities and talent trees; players can freely mix and match their battle teams into formations to create an unlimited number of combinations and tactics. 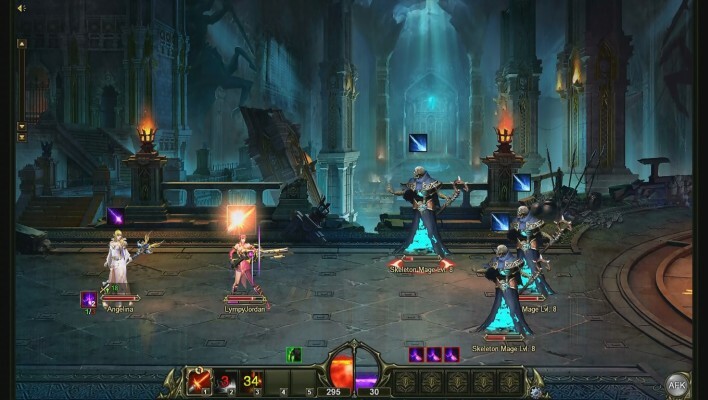 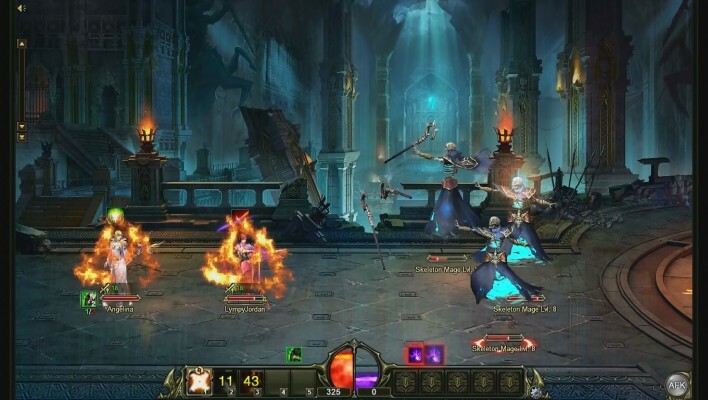 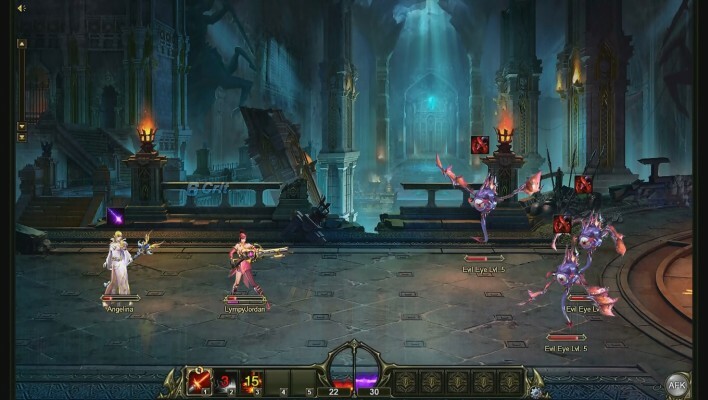 Players build their teams and guide them through a gauntlet of PVE and PVP adventures. 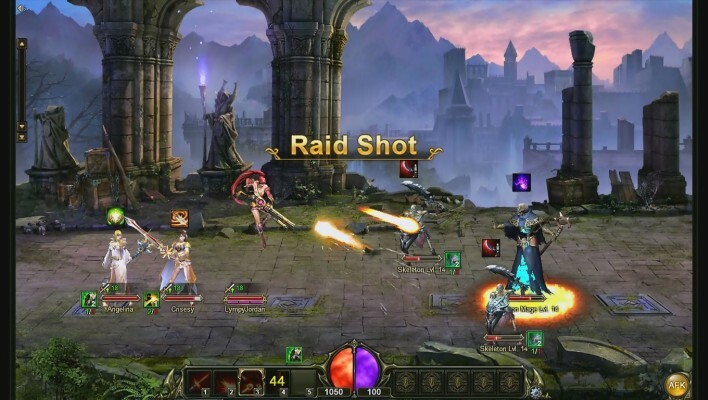 Challenging solo and multiplayer dungeons, special quests, boss fights, PVP arenas, guild wars, and all-new Crypt and Battlefield modes are all waiting to be explored. 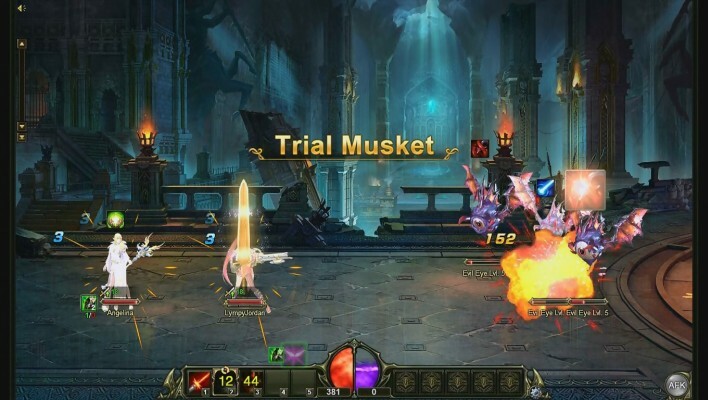 Sword Saga's dungeons also come with a choice of difficulty levels, allowing players to modify the challenge and earn greater rewards for bravery. 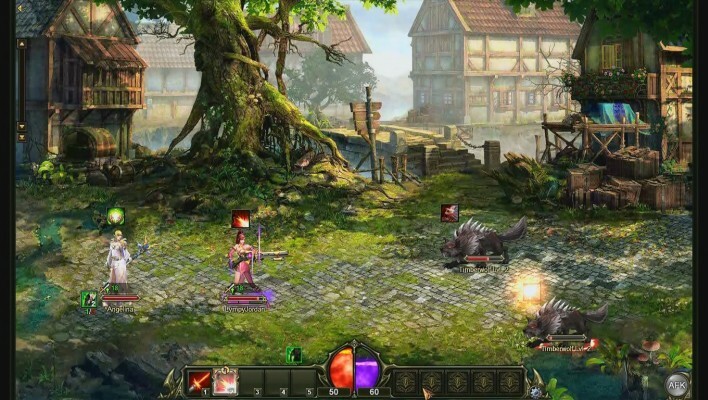 Mercenaries are NPC's that level alongside the player character, learning new skills as they grow. 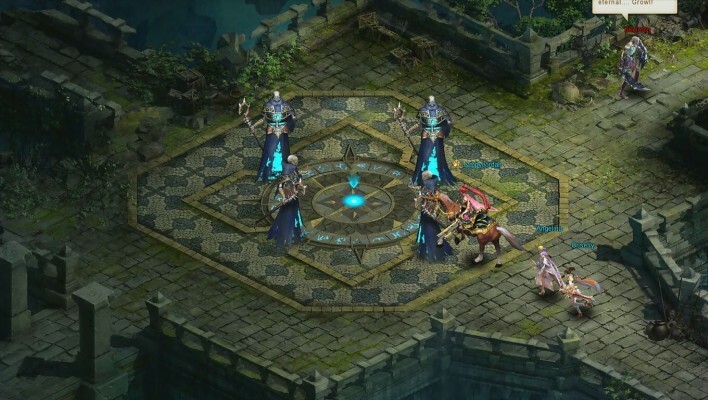 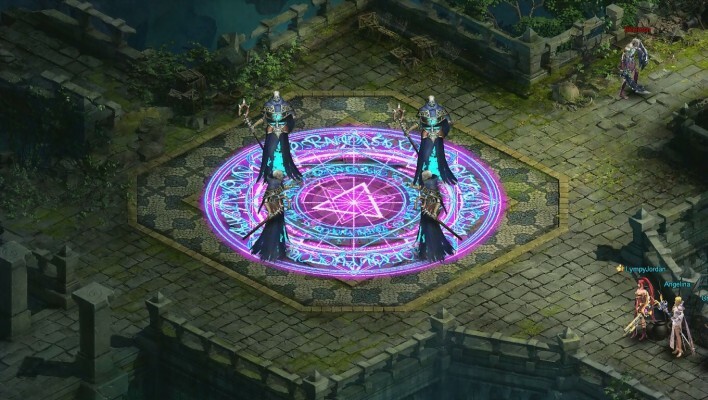 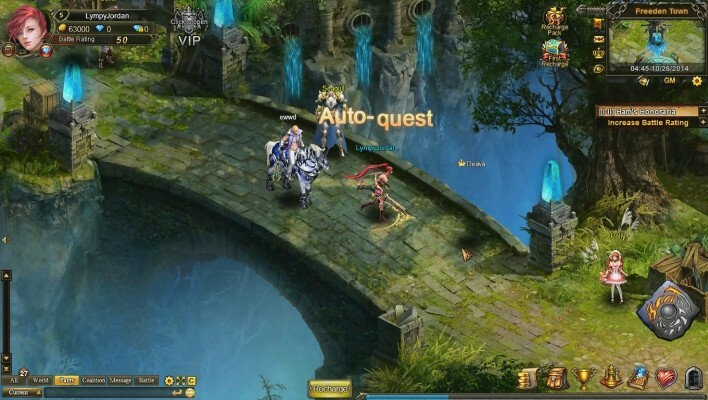 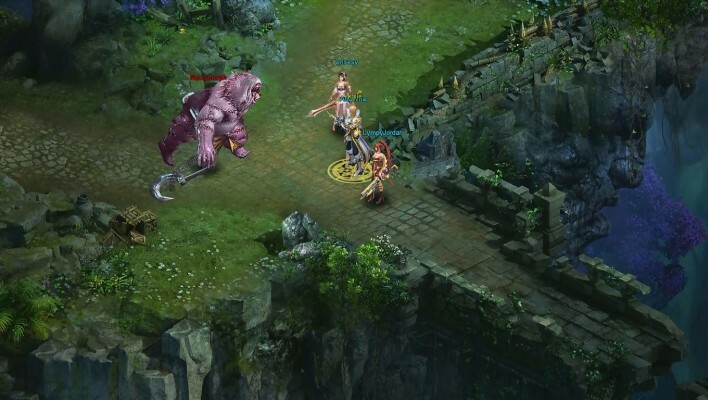 Players can find and collect Astrals to boost their battle rating, call upon the power of Dracoguis to buff skills, collect and enhance a variety of weapons and equipment at the Blacksmith, and beef up their teams with a host of formidable mounts to ride into battle.